Melatonin is a substance that is naturally produced by your brain to help you sleep. Different factors can inhibit or slow your brain's production and release of melatonin, including high levels of stress and poor sleeping habits. Insomnia is also an issue that a large number of people have to contend with at bedtime. 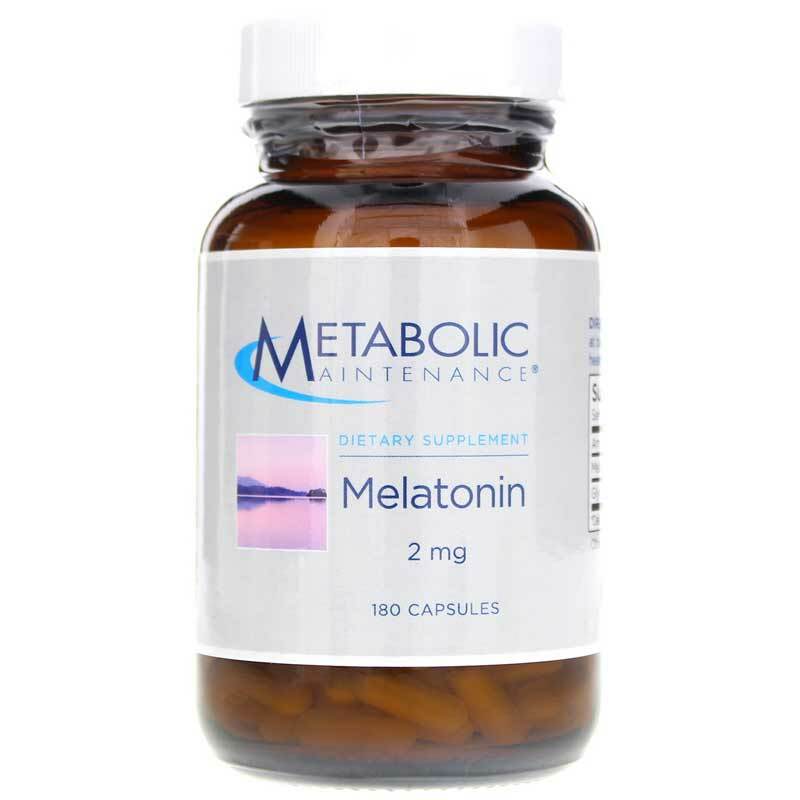 Melatonin Time-Release from Metabolic Maintenance is an all-natural sleep aid that delivers 2mg of melatonin, as well as guar gum to help you find relief from insomnia and jet lag. Metabolic Maintenance Melatonin Time-Release comes in an easy-to-swallow capsule form that only needs to be taken once every night before you go to bed. Start sleeping better tonight. Give Melatonin Time-Release from Metabolic Maintenance a try today and see the difference it can make in your sleep patterns. Order now and stay on the natural road to optimal overall health and wellness. Other Ingredients: guar gum (a water-soluble fiber), vegetarian cellulose capsule. Adults: One (1) capsule at bedtime as a dietary supplement, or as recommended by a healthcare professional. Thanks I'm very happy with Melatonin 2 Mg.